This web site has two purposes. 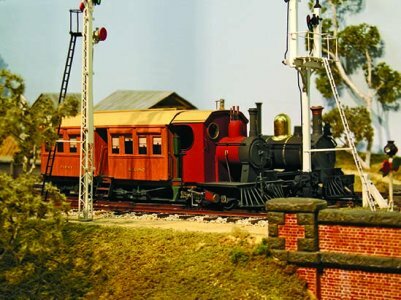 To promote the annual “Modelling the Railways of South Australia Convention” which to date has been held in Adelaide on the second Saturday of September. 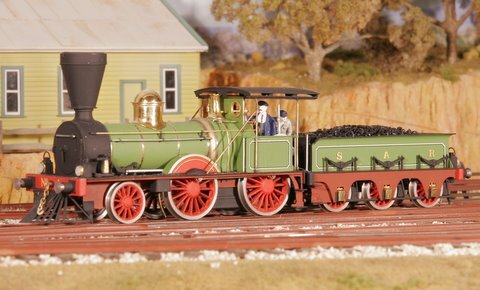 To promote the hobby of Model Railways in South Australia in general and to promote the modelling of things South Australian in particular. All of the information on this web site has been prepared by Hugh Williams. Any views expressed are therefore his and not necessarily those of the group of people who get together to prepare the “Modelling the Railways of South Australia Convention”. Model of Coffee Pot in 4mm scale built by Frank Kelly.